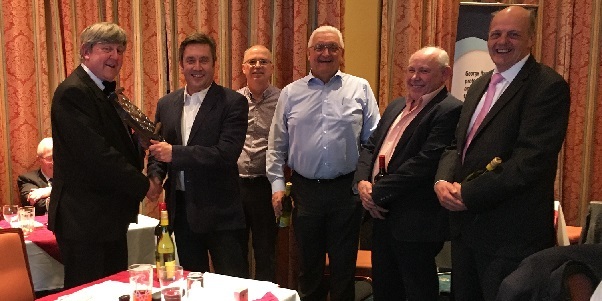 On Tuesday 19th March, George Hay Chartered Accountants hosted their 26th Annual Quiz at the John O’Gaunt Golf Club Nr. Potton. As this year marks 80 years since the firm’s Biggleswade office was first established, in 1939, Quizmaster and Partner, Barry Jefferd and his wife Susan, devised questions that would put the teams’ knowledge of the last eight decades to the test. Barker Storey Matthews and Letchworth-based business networking group, biz4Biz, ended up sharing 2nd place as they both finished on 77 points. Speaking after the quiz, Barry said: “It has been another extremely enjoyable evening, giving local professionals and businesses the opportunity to socialise and enjoy some friendly competition”.